New rules governing French wealth tax came into effect on 1st January 2018. In this post, we explain what the changes to the law mean if you own a French property or if you are planning to acquire one. Prior to the changes, French wealth tax (ISF) was assessed on all assets owned by the taxpayer when net taxable assets exceeded a threshold of €1,300,000. The basis for the wealth tax included worldwide assets for taxpayers domiciled in France and real estate assets located in France for non-resident taxpayers. With effect from 1st January 2018, a new real estate wealth tax scheme (“Impôt sur la Fortune Immobilière” – IFI), is assessed only on the real estate owned by the taxpayer to the extent that the value of the taxpayer’s real estate net assets exceeds a threshold of €1.3 million. All other assets (especially financial assets) are no longer subject to wealth tax. The five year exemption for property held outside of France for new French residents continues. As with individuals domiciled outside of France, those who have not been domiciled in France during the five years preceding their arrival on the French territory will only be taxed on their French real estate assets, until 31 December of the fifth year following the year of their arrival in France. Real estate used in a trade or business are excluded. With regards the deduction of mortgage loans in the wealth tax base, new rules specify that interest-only loans will be governed by similar rules as amortising loans. This rule also applies to existing interest-only loans. French real estate assets with a gross value exceeding €5 million will also be subject to a deduction cap. In practice, when the mortgage outstanding balance exceeds 60% of the property value, the maximum amount of mortgage debt that can be used to reduce the wealth tax base is capped at 50% of the “excess” over and above the 60% cap. The French housing market is expected to strengthen further in 2018. Strong demand for houses in France is buoyed by low interest rates. 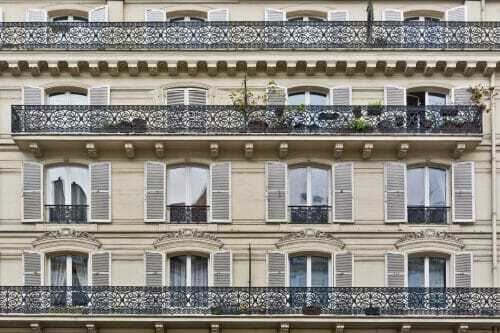 Find out more about the latest trends in French property prices.